1. A focus on total costs instead of unit costs: By focusing on unit costs instead of the total cost of ownership – which includes costs such as transportation, intellectual property risks and inventory carrying costs – manufacturers are overestimating potential savings from overseas operations by 20%- 30%. 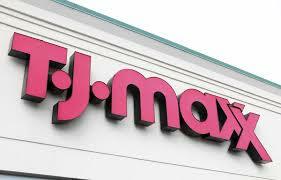 Is T.J.Maxx the Best Retailer in the U.S.? T.J. Maxx (the TJX company) is the “black box” of retailing–one of the most secretive retailers around– writes Fortune(Aug. 11, 2014). With over 3,200 stores in the U.S., the TJX off-price business is a volume game: selling a ton of goods and selling them fast. The measure of speed here is how quickly a company turns over its inventory: TJX does that every 55 days, vs. 85 for its peer group. Indeed, the company is structured to whisk items through its distribution centers and stores: TJX shipped some 2 billion units to its stores in 2014, up from 1.6 billion in 2010.